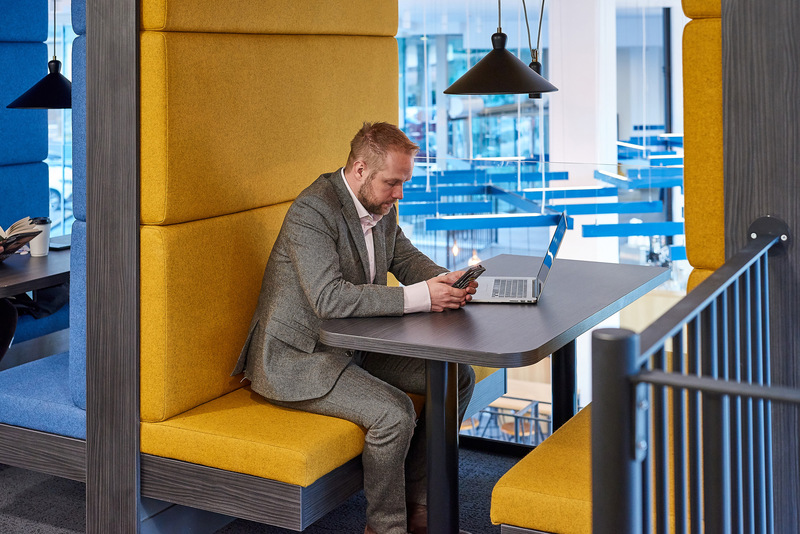 Tricorn House is a 150,000 sq ft, 12 storey office tower on the outskirts of Birmingham city centre. 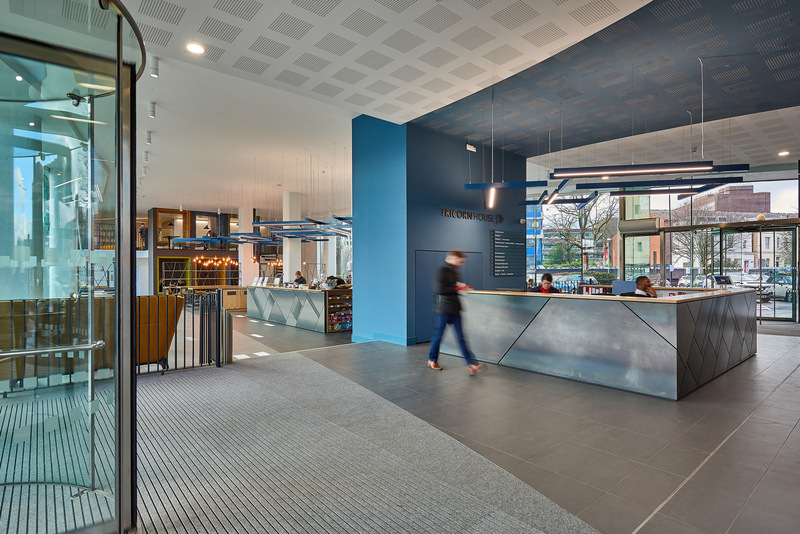 Woodhouse carried out a comprehensive design and remodel of the front of house areas to create an entirely new entrance journey. 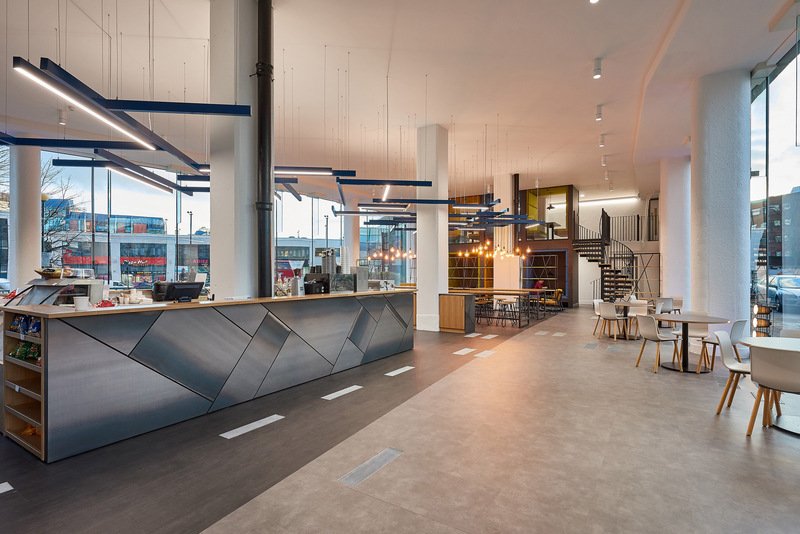 Removal of an existing mezzanine has created a double height reception area as a “grand hall” concept, housing a café and eating area. 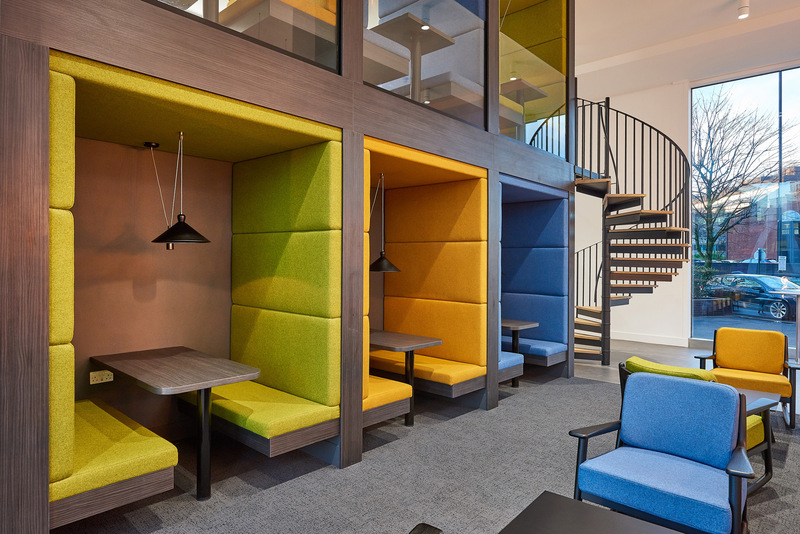 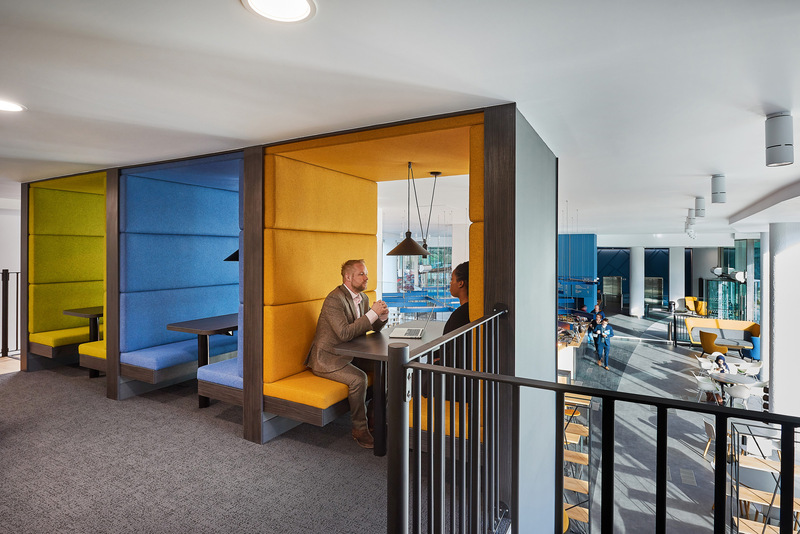 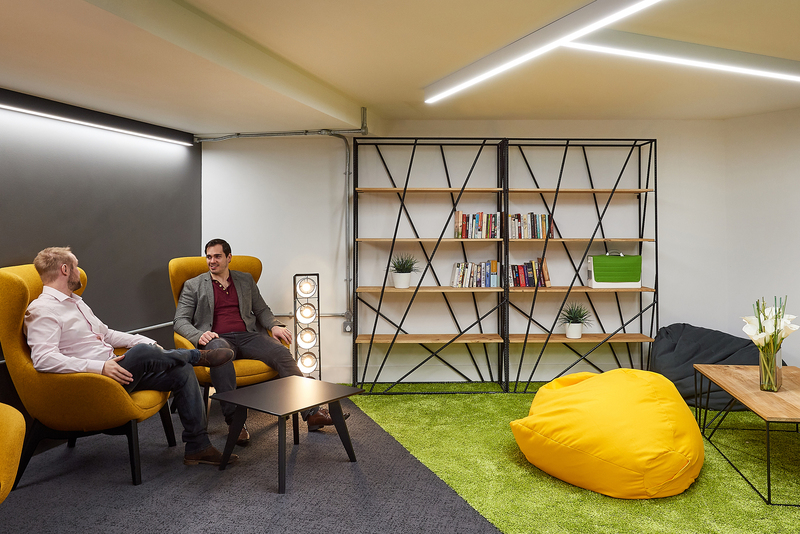 Double height seating pods combine with a small mezzanine as a striking feature and fun breakout space. 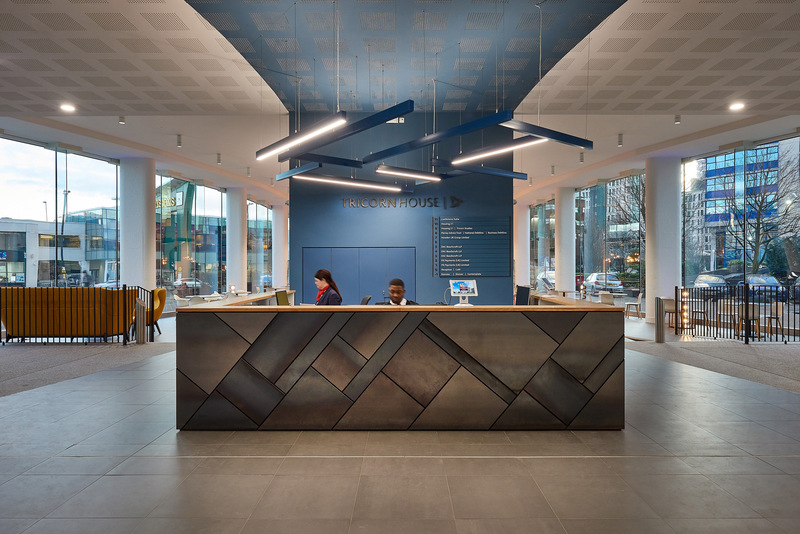 A hot rolled steel reception desk provides an architectural focal point with this use of raw materials. 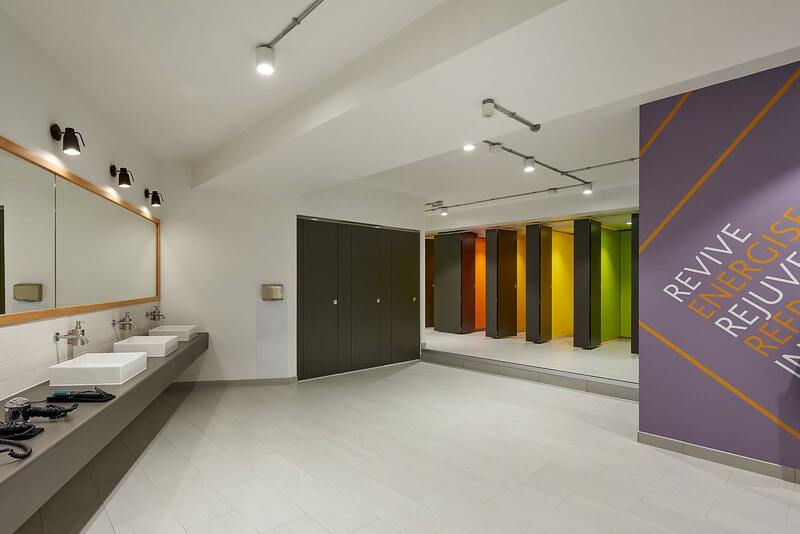 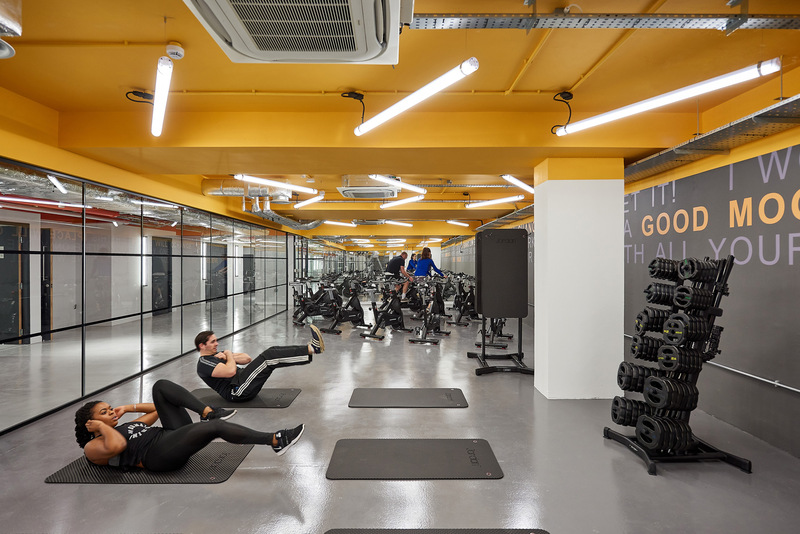 The basement has been fitted out as a gym with exposed soffit & services, a large selection of equipment, aspirational graphics and bright colours to overcome the lack of daylight. 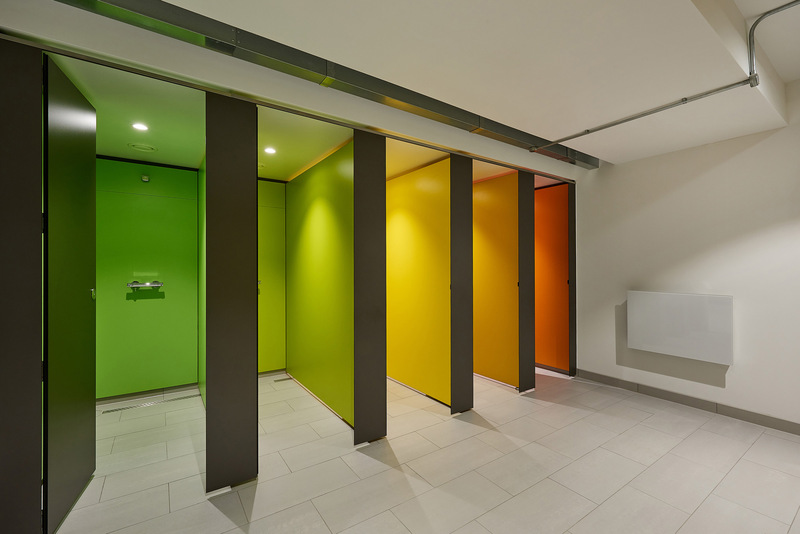 A dedicated room provides quiet space for prayer and contemplation. 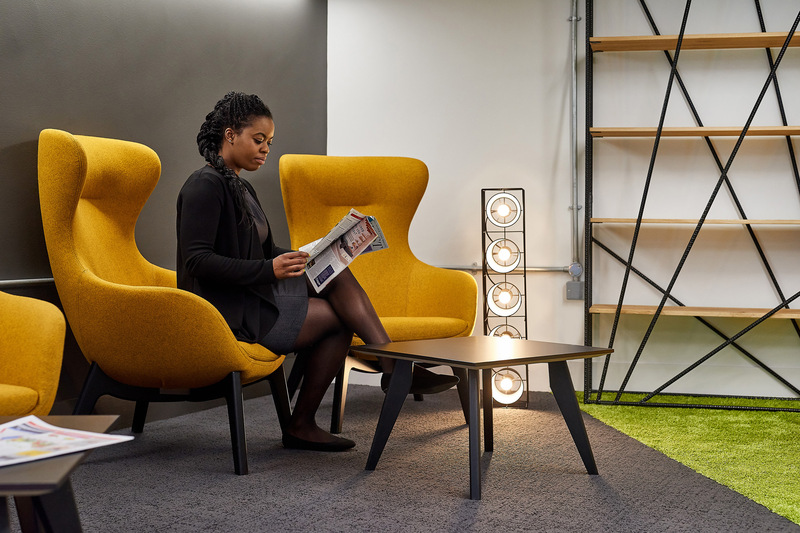 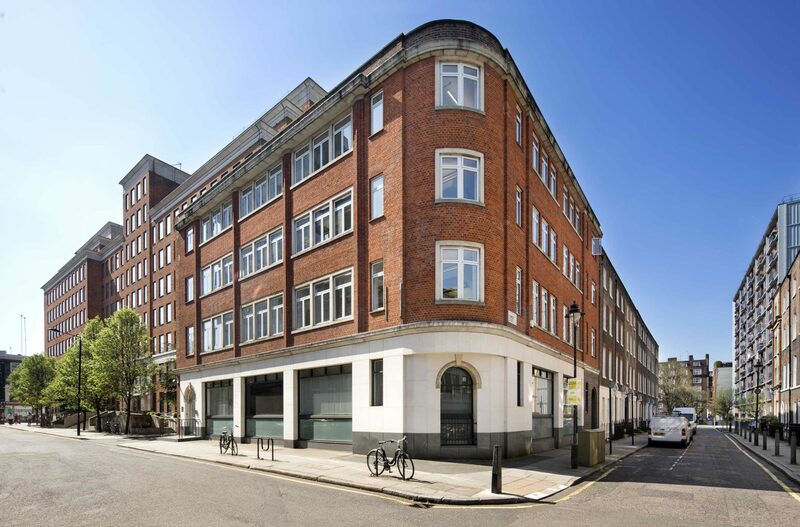 Lifts from reception lead to the 9th floor where the landlord’s “Let Ready” concept provides small ready-to-go offices for smaller occupiers. 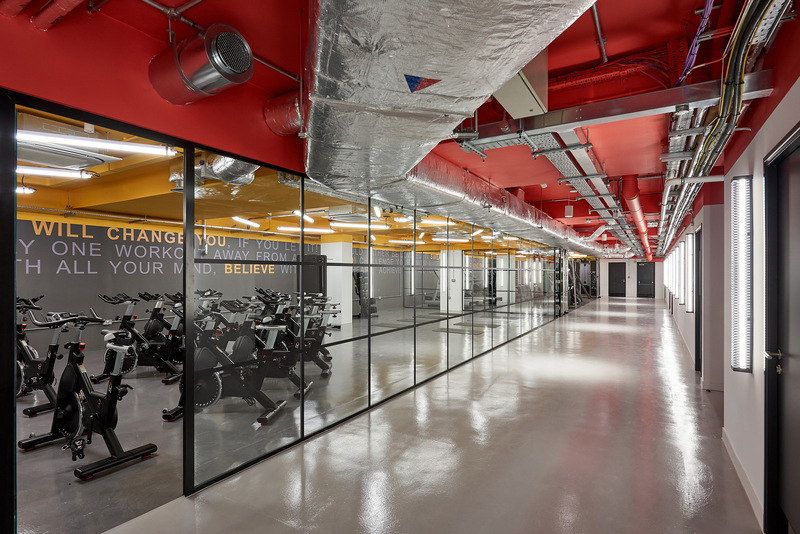 The above project was carried out within this large occupied building, keeping it fully operational and limiting disruption for the 1500+ people in this building. 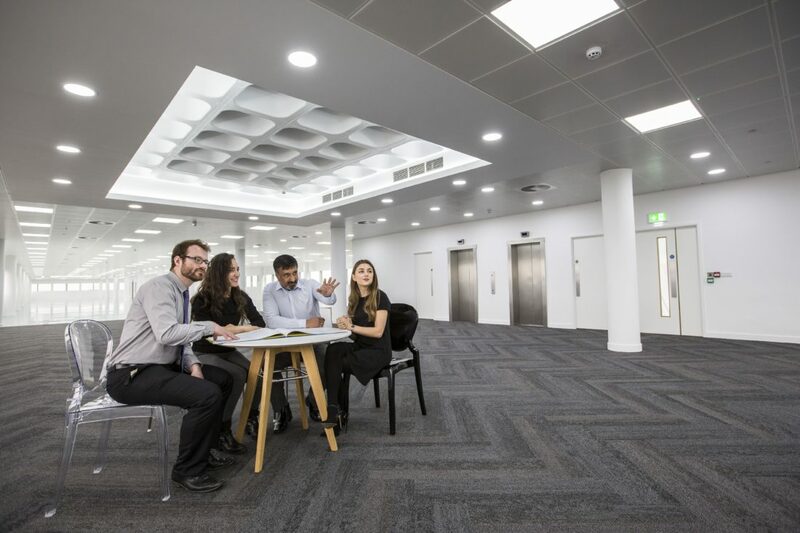 The finished space enables Tricorn House to attract the best tenants as a spacious, high specification workplace. 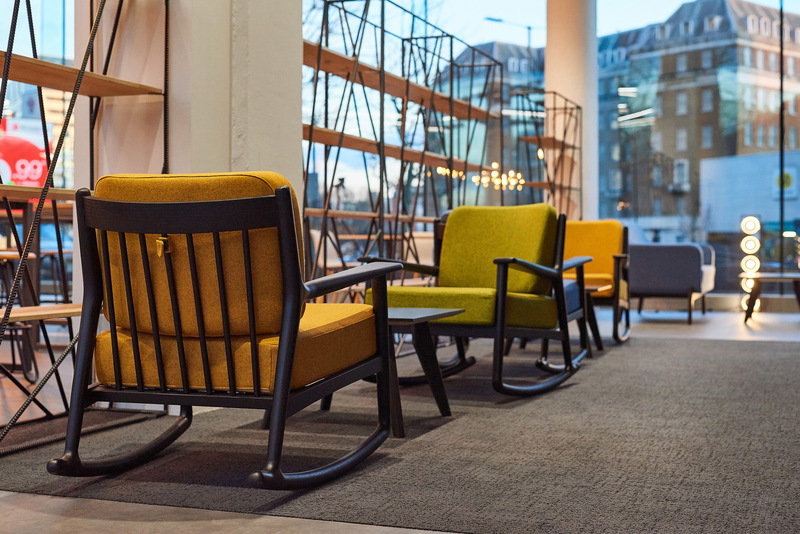 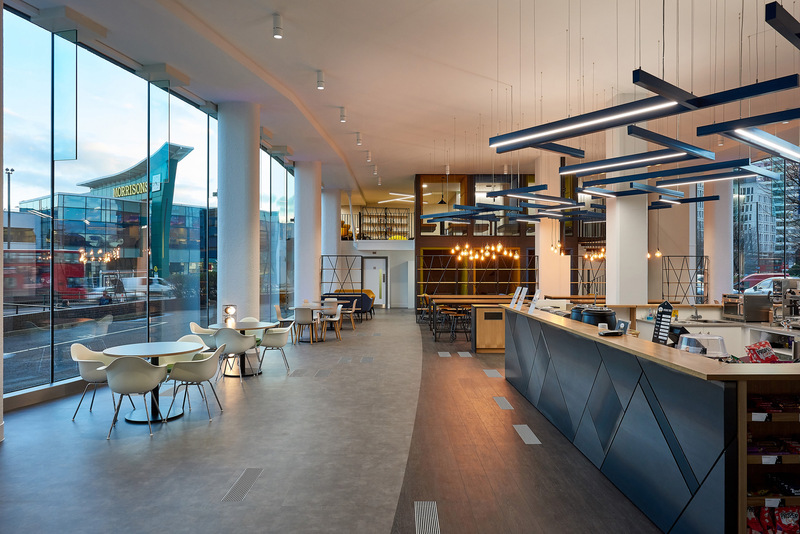 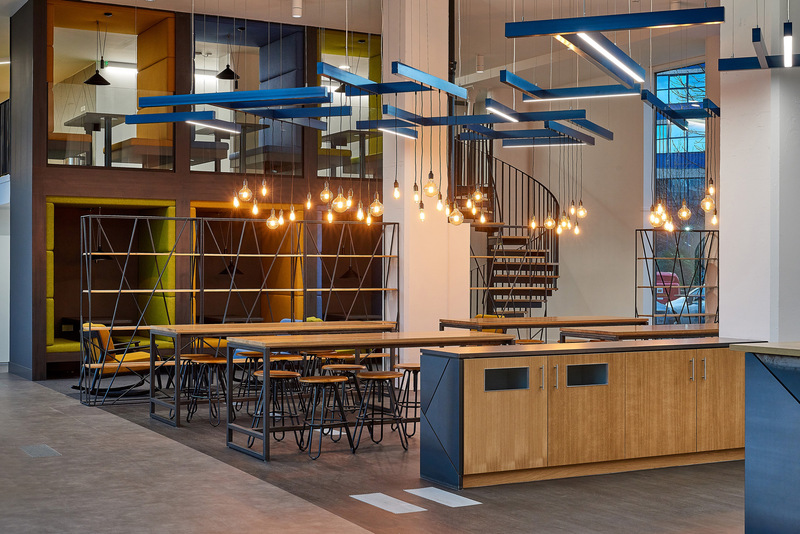 The reception, cafe and gym also support Tricorn Studios to create a workplace destination. 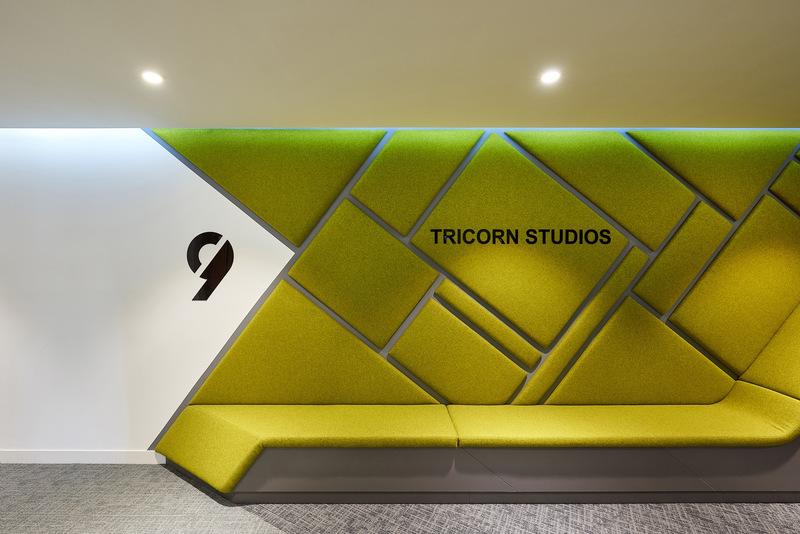 View more about Tricorn Studios here.